The infamous quote by Neil Armstrong, “That’s one small step for man, one giant leap for mankind” really resonates with me. I truly believe that small changes and little baby steps are the way to make BIG changes for the better in your life. Whether it’s exercising, being more organized, eating healthier, or just living a better life… anything can be done if you make small changes. See, little changes or small steps add up. They eventually add up to huge changes, but because you’re making small changes it’s doable. It’s something we all can do – like Become Carton Smart. I strive to live a smart life. Hey, I think I’m a fairly intelligent person, yet, I’ve not always lived that way. But it’s time to live smarter. 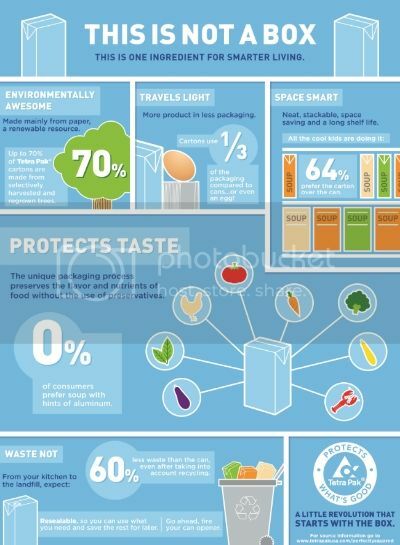 Which is why I love Tetra Pak cartons and Pacific Foods. They are helping me to live smarter. I used the Pacific Foods Organic Chicken Simply Stock to braise Sage Pork Chops with yesterday. I rubbed the pork chops with a little sage, salt, and pepper on both sides, added them to a hot pan with 1 tbs. of butter, sear each side for 1-2 minutes and add the stock, cover and simmer for 5 minutes (my chops were wafer thin). Then I added cornstarch to make a sauce. The pork chops turned out delicious, tender, with lots of flavor. I added roasted potatoes (a little olive oil, salt and pepper) and roasted brussel sprouts (just olive oil, salt and pepper) for a yummy, healthy meal. I like keeping meals simple, with simple ingredients that help to bring out the flavor of foods, but not adding a lot stuff you can’t even pronounce. 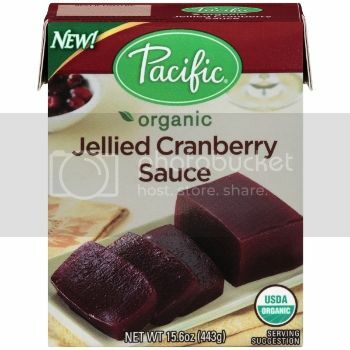 I love the organic, natural ingredients in the Tetra Pak Pacific Foods. 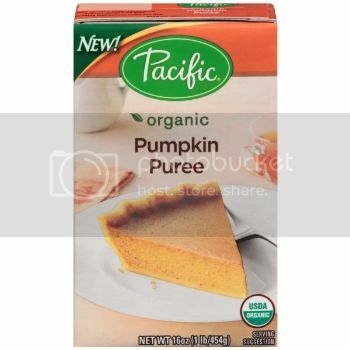 I can’t wait to make a pumpkin pie using my Pacific Foods Organic Pumpkin Puree for the holidays this year. And there’s a recipe on the carton of Jellied Cranberry Sauce for Cranberry Pecan Crunch Squares that are calling my name. 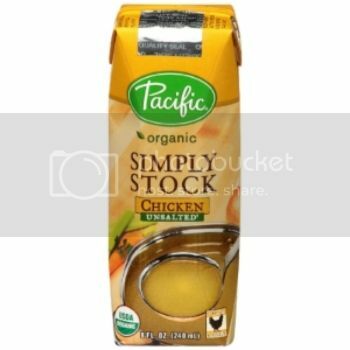 I’m already using the Pacific Foods Organic Chicken Simply Stock for braising and making sauces. I know it’s going to make a great gravy to go with my turkey this Thanksgiving. I think you’ll be amazed at how many food products for your holiday meals you can get in a carton. I know I was pleasantly surprised. 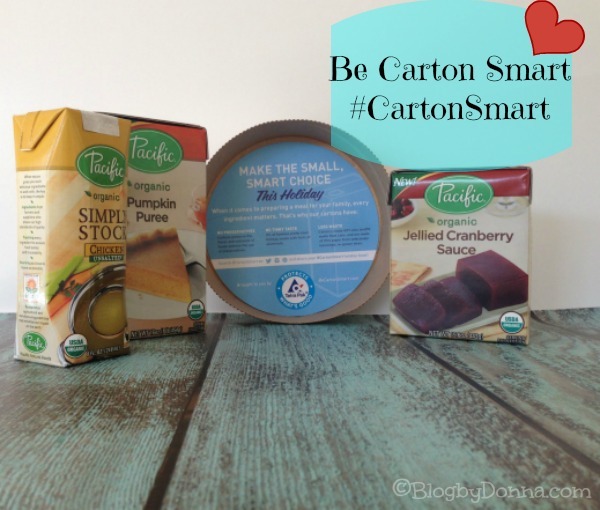 How do you plan to be #CartonSmart this holiday season? Is there a favorite holiday recipe you’re looking forward to making using an ingredient from a carton? Get soical and learn more about becoming #CartonSmart by following Tweet @CartonSmart and Follow #CartonSmart on Pinterest. there’s way more stuff in cartons than i realized!! thank you for sharing- when i get broths this is always how i get them. I shall try to use more cartons. Looking forward to anything with chicken broth. We usually buy our stock in cartons – this last week I did buy it in cans because the sizes offered were just more convenient for the recipes I was using it for. I’m already looking forward to cranberry sauce! I’ve always been leery of cartons, but these actually look great. I had no idea there were so many foods in cartons. These are great products! 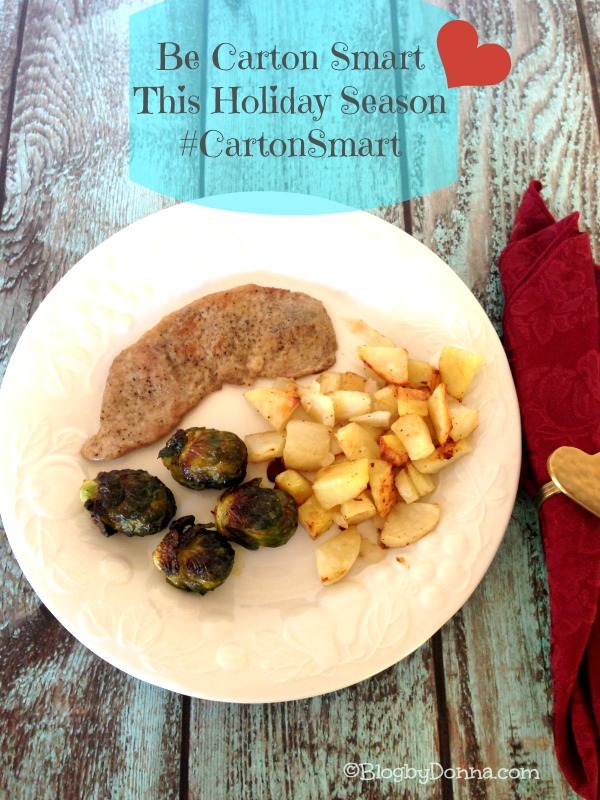 I love keeping meals simple with Carton Smart. We usually by chicken broth in cartons. Chicken broth has so many uses in recipes! I recycle tetra pack cartons. I look forward to making a pumpkin spiced smoothie, or a pumpkin cheesecake with the pumpkin puree. Nine times out of ten my soup broth is in a carton like this when I buy it. I love these cartons; you don’t have to worry about BPA. I haven’t heard of this brand at all, so it is something to think about and possibly try out! I haven’t heard of this brand. I try and buy things in cartons if I can. I love the tetra packs myself. Great post, thank you for the reminder to be smart about packaging! I like the cartons because they are easy to stack and store in our pantry and cupboards and they are also made mostly from recycled cardboard and most are resealable if you don’t use all the contents at once. Thanks for the info. I wish more items came this way. I hate all the BPA lined cans. I always get my broths in a carton too. We have always been buying chicken broth in cartons. Chicken broth is a staple in my kitchen. I use it to make chicken and dumplings! 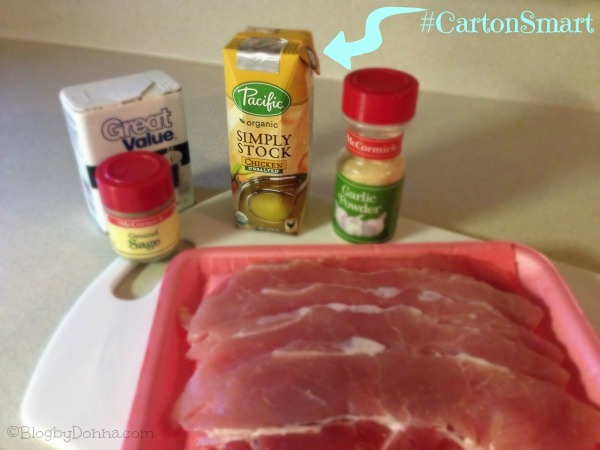 I am always looking for something easy and fast to cook and besides this sounds great, we love pork chops here and I am always trying something different. I love that so many items are now coming in cartons, instead of glass or cans, as cartons are at least biodegradable and easier to store. THank you for sharing.